Americans who assumed society was becoming more and more secular have been surprised by religion’s rising visibility and central role in current events. Yet this is hardly new: the history of American journalism has deep religious roots, and religion has long been part of the news mix. Providing a wide-ranging examination of how religion interacts with the news by applying the insights of history, sociology, and cultural studies to an analysis of media faith and the points at which they meet, The Oxford Handbook of Religion and the American News Media is the go-to volume for both secular and religious journalists and journalism educators, scholars in media studies, and American Studies. 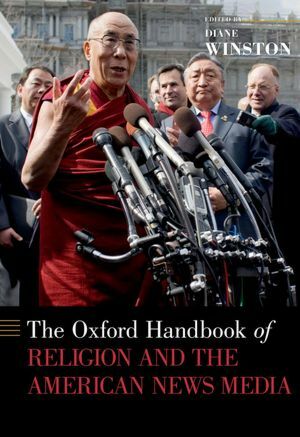 Learn more about the Oxford Handbook of Religion and the American News Media here. In spring 2012, J585 students focused on reporting about the effect of caste and religion on South Asian culture and society in India and in Southern California. The foundation for caste, a much- misunderstood social system, is in ancient Hindu texts, but the classifications continue to delineate social and economic spheres for India’s Sikhs, Buddhists, Jains, Muslims and Christians at home and abroad. J-585’s assignment was to investigate how caste and religion affect Indian law, business, gender relations and politics. At the very moment when India is poised to be a world power, how, where and why does caste affect its citizens? How does it affect Indian immigrants? Visit the project website here. The twenty-first century has seen an unprecedented movement of people across borders, a revitalization of many forms of experiential spirituality and the resurgence of religious politics. The Knight Luce Fellowship for Reporting on Global Religion offers stipends for journalists to travel throughout the world to report and write stories that contextualize these developments for an American audience. These projects demonstrate the enduring power of religion and spirituality to motivate radical change, reaffirm cultural traditions and fundamentally affect the day-to-day lives of people worldwide. Religion frequently plays a key role in mobilizing support for and against vital social issues, including housing, health care, poverty, sexuality, immigration, economic equity, and civil rights. The Knight Grants for Reporting on Religion and American PublicLife provides funding for journalists to report and write stories on religion and spirituality in the civic sphere. These projects explore how religion, religious institutions and religious people effect change in on-the-ground social, political and economic conditions. Coverage also examines how religion influences the underlying dynamics of political power, conflict, the search for meaning, and the construction of community. Visit the project website here. In January 2011, USC Annenberg’s J585 Reporting on Religion launched an innovative partnership with On Being, American Public Media’s talk show on meaning, religion, ethics and ideas. During Skype sessions with host Krista Tippett and the On Being staff, Diane Winston’s graduate students mapped out reporting strategies for coverage of religion and ethnicity among Israelis and Palestinians as well as Jews and Arabs in Los Angeles and in Israel. The class posted photos, audio clips and stories on Tumblr, many of which appeared the On Being blog. Trent Gillis, the program’s online editor, also worked with students on stories for the site. In Jerusalem, Tippett and the On Being production team met up with J-585 for a tour of the Old City and a dinner conversation with author Yossi Klein Halevi. Several students’ stories from Israel subsequently appeared on the program blog. Go to Project Website. The class filed breaking news, news features and blogs during the trip and wrote indepth articles after they returned. Their work was posted and published in newspapers and online news sites, all of which you can read here. Visit the project website here.